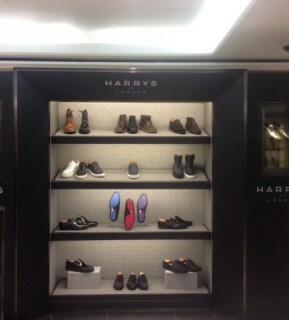 Harrys of London is a premium men’s shoe brand that pride themselves in their traditional and heritage influences with London as their core brand mission. They create shoes with everyday wear ability with the versatility of a rubber sole which are innovative and beautifully crafted. With stores in the heart of London, the Middle East and Asia, D4R were lucky enough to get to work with them launching in Harrods store, London. 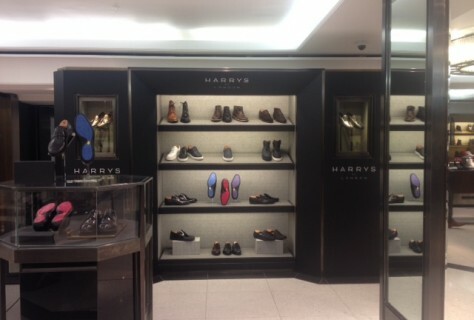 Harry’s like to convey a sense of comfort and easy accessibility within their stores and that is something that we took forward when designing. We wanted to create a space that was sleek, sophisticated and very traditional and that linked well with the other stores.